NEW Thor Motor Coach Class C Gas! Visit with us at Cold Springs RV in Weare to learn all about this 2018 Four Winds 22B motorhome. Mighty Ford Triton V-10 engine under the hood that promises to perform! Inside enjoy the spacious floorplan with Gemstone decor. Cab-over bunk and private bedroom suite in the rear. 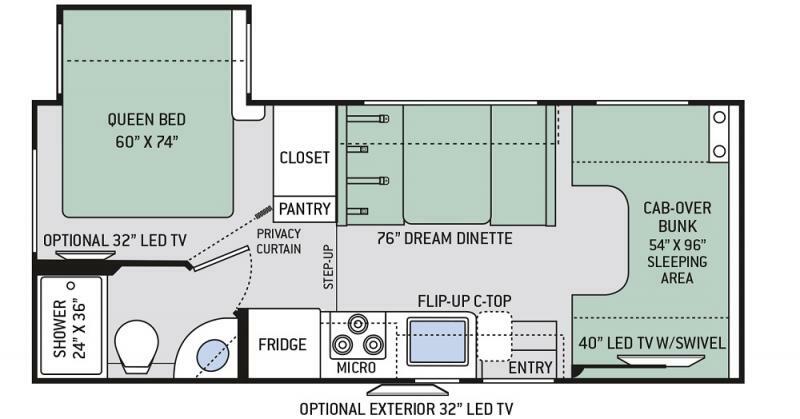 This model can sleep up to 4 and offers more than enough room to entertain! See this NEW arrival today!